The Nordstrom Anniversary Sale is finally live for everyone! To celebrate, I wanted to finally share what pieces I decided to purchase from the sale. For each of the many items I purchased I included the size and color I got as a reference to y'all. I also included my thoughts on the product and whether or not I think it's worth it to purchase. I definitely kept it honest when explaining each item which I hope y'all appreciate. I certainly did my fair of shopping with this sale but knew that would be the case and start putting aside some money in anticipation for it. 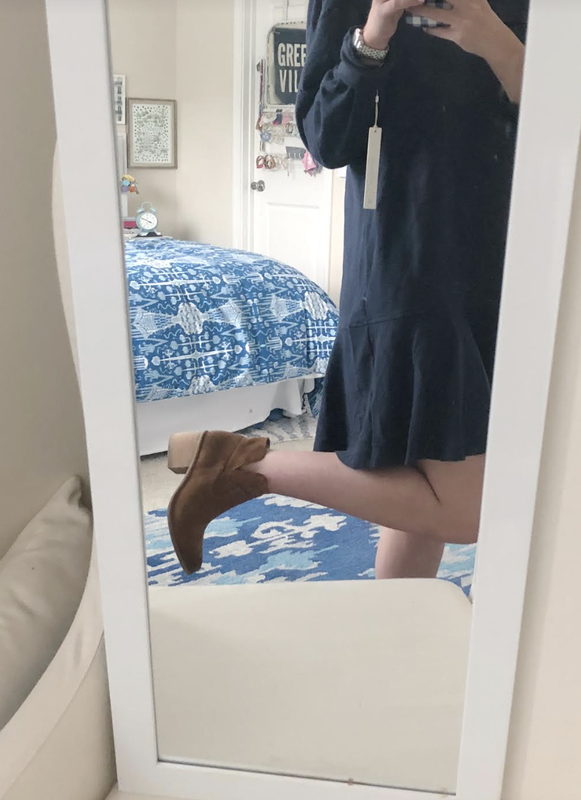 As I've mentioned in other posts, my approach with the Nordstrom Anniversary Sale is to get pieces I can wear over and over in a number of different ways. 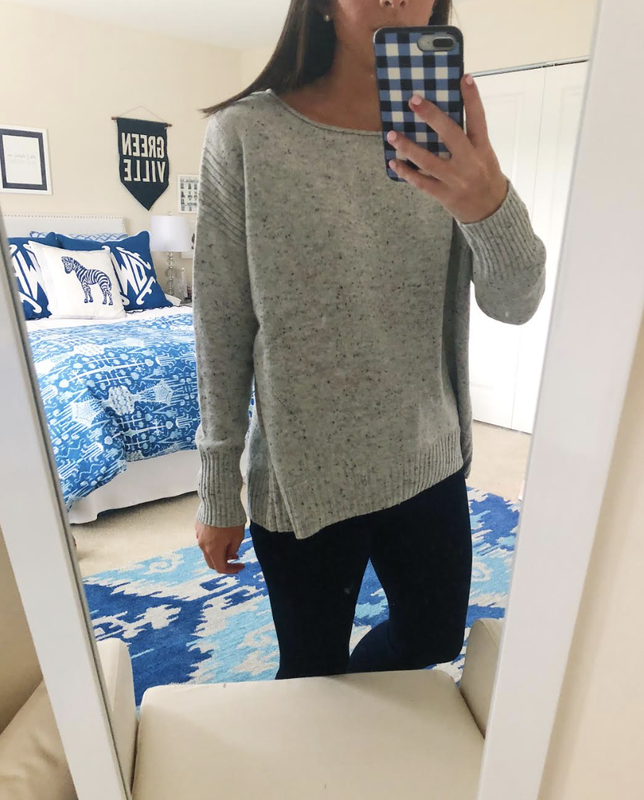 I find that this is the perfect way to freshen up my closet and prepare for the season ahead while ultimately saving money! Definitely ignore the fact that I had to use an over the door mirror on a chair to get these photos. Thinking that a large floor mirror will be essential in my next apartment! Size: Small (true to size). Could size up one if you feel like you'll be wearing super thick sweaters under it. Thoughts: This jacket had been included in the sale during previous years, and I was so excited to see that it was back this year. 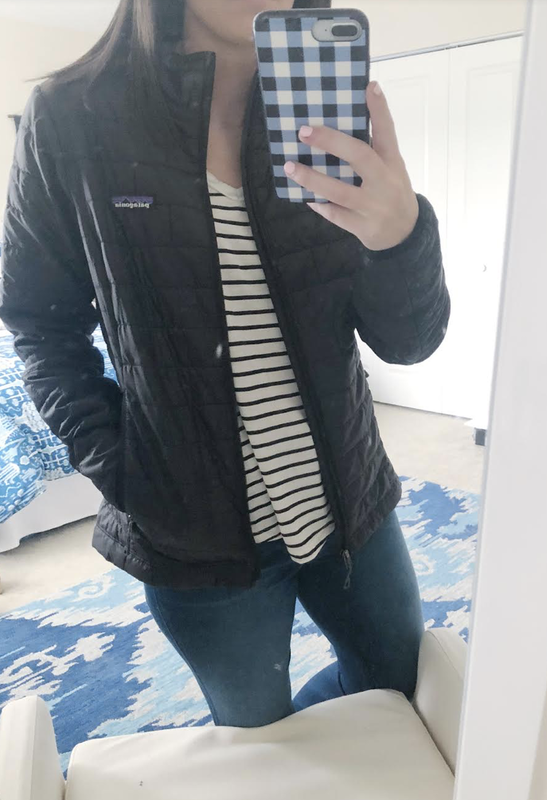 Living in the south, I don't need super thick jackets but do want the jackets I have to keep me warm during the cold snaps we can get. This jacket is the perfect combination of those things since it seems lightweight but also locks in your body heat. I think the best part about this jacket is that it can be folded pretty small making it perfect for travel. I know this is something I'll have in my closet for years and was so glad it was included in this years sale. Thoughts: I was really hoping to love this as a fall/winter going out jacket but may end up returning it. I don't think I'd ever wear it with the hood so I do love that it is removable, but I don't love where the jacket hits me. I think it's a little short on (I'm 5'7" for reference) and would probably keep it if it came down a little farther. 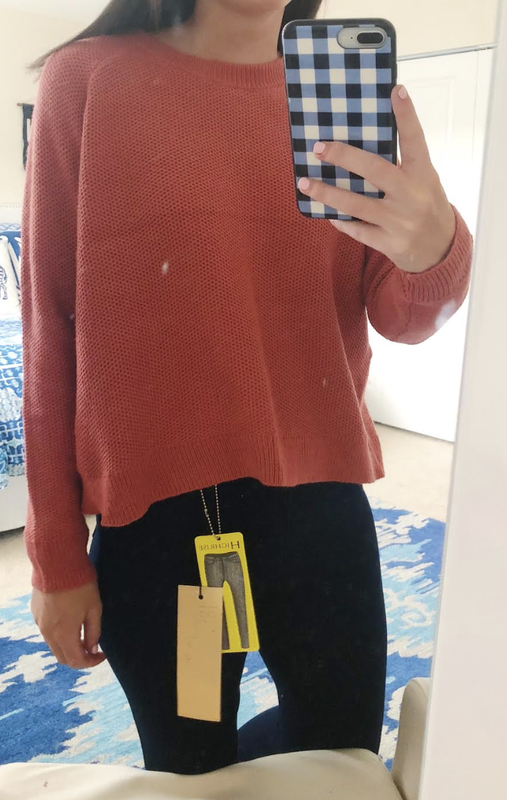 I don't think going up a size would help with length either. Jury's out so I'd love to know what y'all think! Thoughts: This is my favorite buy from the sale. I put on this sweater and did not want to take it off. 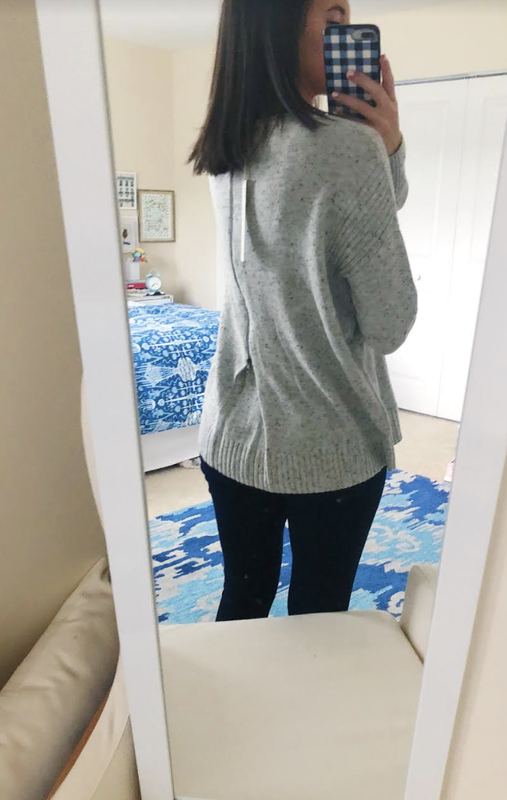 It is the perfect amount of oversized and the zipper on the back is perfectly placed. I'll be wearing this with jeans and leggings (since it is long enough to cover my bottom), and I'm so tempted to get it in another color! Thoughts: Deemed by my roommate as a great sweater for any Clemson fans. She was in my room as I tried on these items and decided that the understated orange of this sweater would make any Auburn or Clemson fan supportive of the team without being too obnoxious. 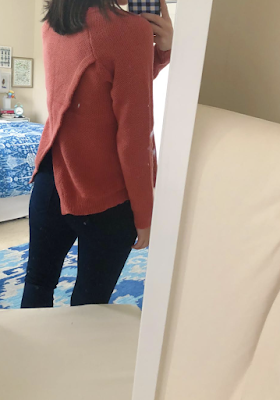 I really love burnt orange and think that the back of this sweater makes it a lot more fun to wear than a regular crewneck. 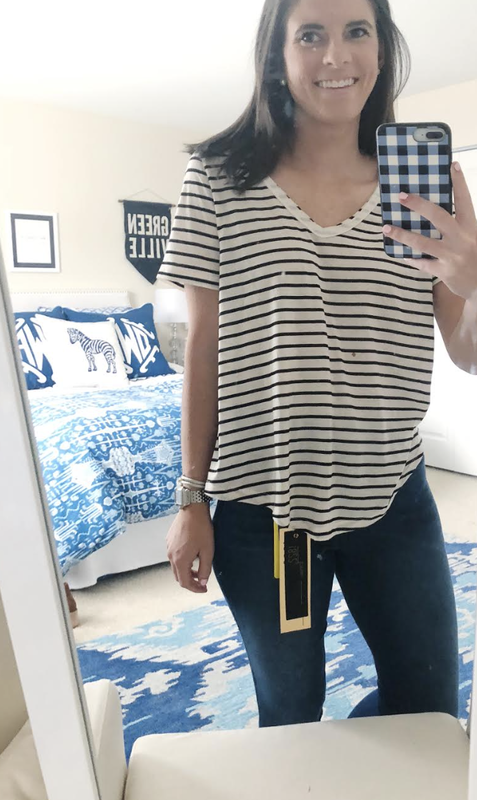 Madewell has amazing quality items so finding this on sale was such a treat! 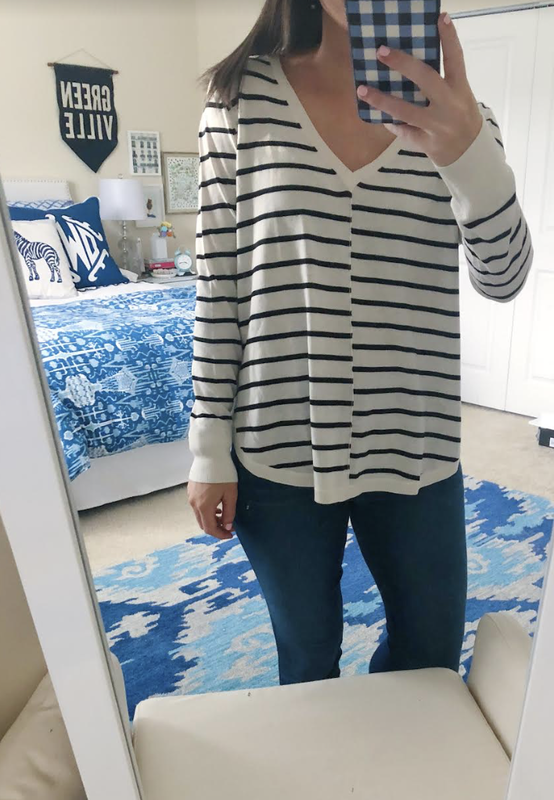 Thoughts: I recently got rid of a black and white striped sweater that I loved that had passed its time so this v-neck striped sweater was the perfect replacement. The fit is really cute and it's also long enough to be worn casually with leggings or dressed up with jeans and cute booties. Size: 4 - I think maybe going down a size would have made the fit cuter on me. Thoughts: This shirt didn't really do anything for me. I think it'll be another item I end up returning. 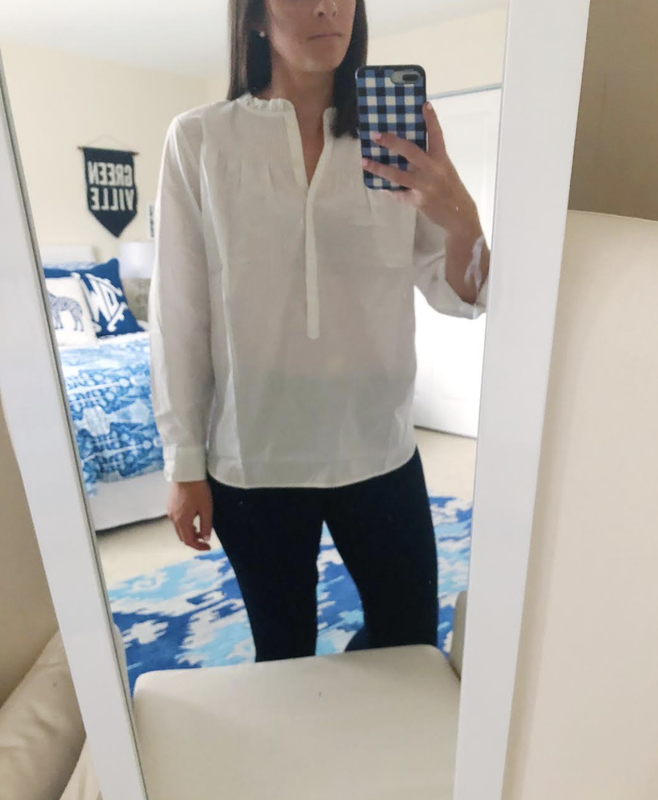 If you're looking for a good white blouse it could definitely do the trick, but I think there are other cuter items out there (like this one included in the sale). Size: Large - Usually these run on the smaller side so I sized way up since I like my t-shirts oversized. I think a medium would've done the trick, but I'm planning to shrink mine just a bit. Thoughts: I am slowly moving away from wearing sorority t-shirts and trying to build a more normal t-shirt collection. I have another shirt from this brand that I love that says "happy camper" and decided to give this one a go. I know it'll be easy to throw on with jeans, leggings, or shorts depending on what my day looks like so I can run out the door. Size: Medium - Sized up because I like my t-shirts on the bigger side but this definitely runs true to size. 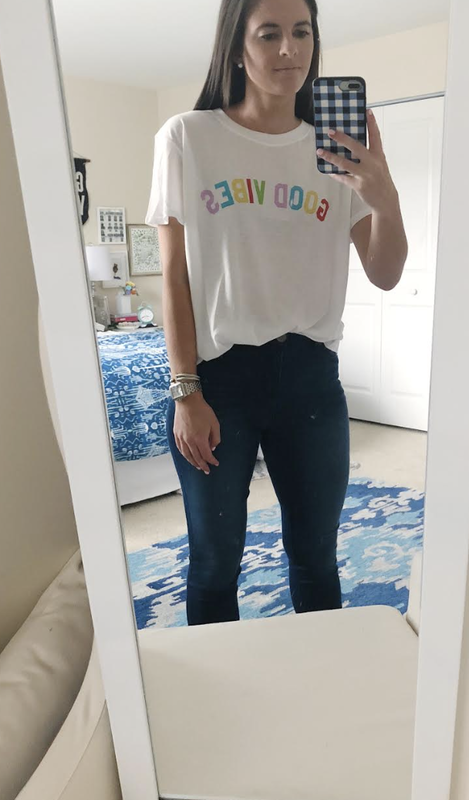 Thoughts: I'm obsessed with BP t-shirts. I have some from previous sales and think they are a great buy. I wanted the white version as well as the striped one but it sold out so quickly. The great thing about these v-necks is that they are lightweight without being see through! If they are restocked in your size it is definitely worth it to give them a try! Thoughts: I think I live in bandeaus when heading out in the summer due to the number of off the shoulder tops I have. This one is especially great because it feels super secure and is really comfortable. 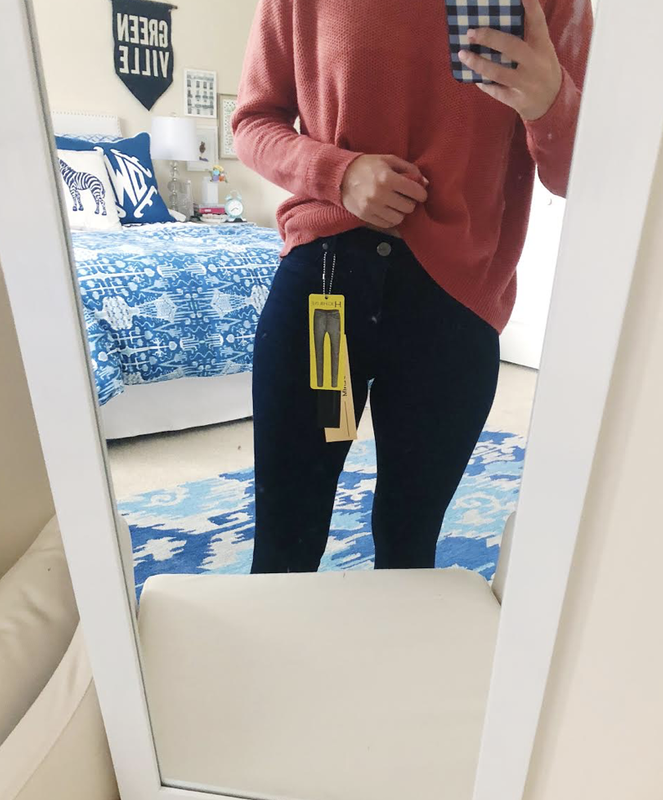 Thoughts: While the Nordstrom Anniversary Sale always has great denim deals, I feel like most people are immediately drawn to the designer names and neglect the steal that some of the other brands become. This pair of jeans is under $30, incredibly soft, and comes in the best color selection. I've tried designer denim and honestly like these better. I've told all my friends about how awesome they are already and think that these are a must buy if you're on the hunt for new denim. Thoughts: See my love of these above! Thoughts: I figured this would be a hit or a miss. It's not the most flattering dress of all times but it also isn't meant to be. 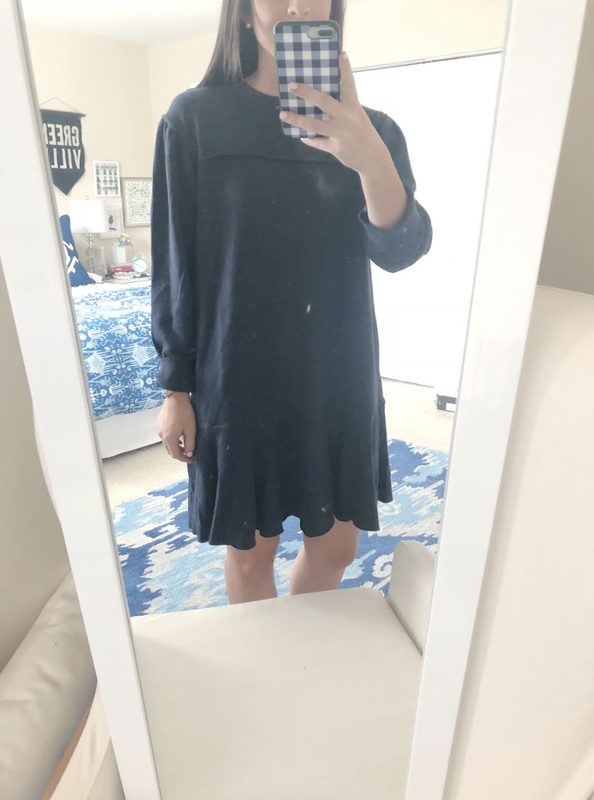 It's hard for me to turn down a comfy sweatshirt dress, so I was thrilled when this navy number looked cute. There are so many style details on this dress that make it look a bit more put together than your typical sweatshirt dress cut. 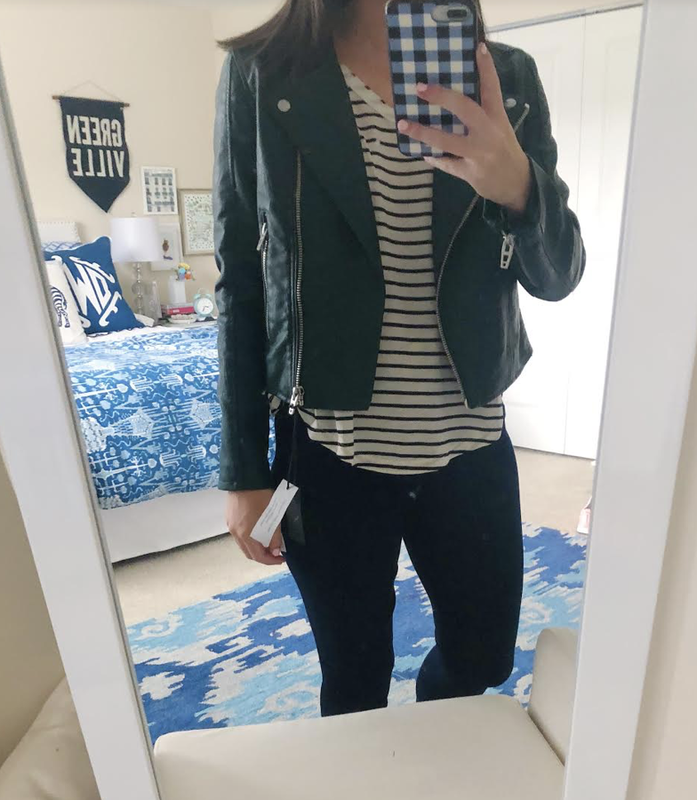 I plan to wear this all fall and winter with slip on shoes and even booties! Thoughts: I have last year's version of this boot that was included in the sale and knew that another color would be a good investment. Since my other pair is very neutral I figured the cognac ones would get a lot of wear with my wardrobe. I actually like this version even better than last year's since the cut doesn't go down quite as far meaning that I can wear typical ankle socks instead of solely wearing no-show socks. The material I really soft and the height is perfect on these booties. Thoughts: I like to have a pair of tennis shoes to wear running errands that aren't my workout shoes so that I can extend my workout shoes' life. I've had my last pair of casual tennis shoes since freshman year of college and I think they are about to kick the bucket. I decided to try this pair as a replacement for them and am really impressed with how comfy they are. The color is definitely bright, but I'm a fan! Thoughts: I have a matching pajama set obsession. 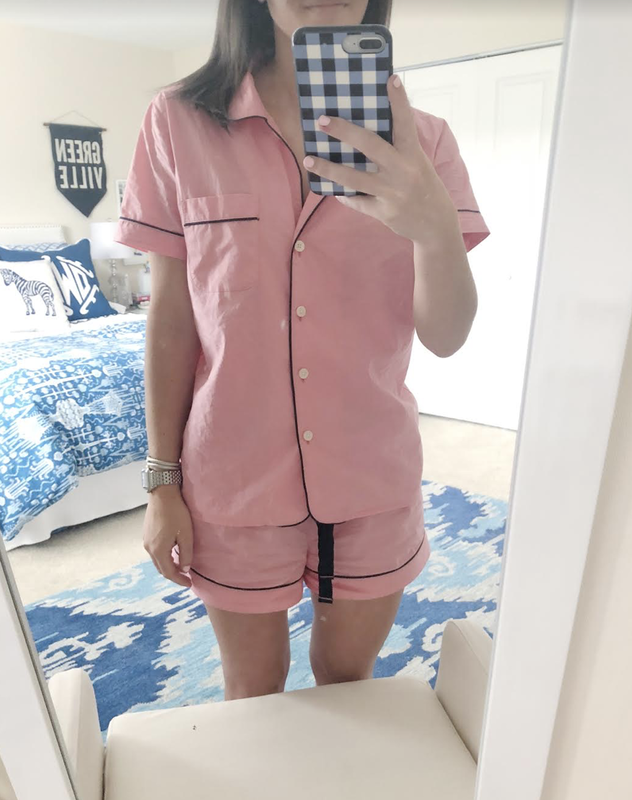 I had seen the long version of this set in the cool pink color on J.Crew's site back in December and was in love from the get go. When I discovered this short set included in the sale I knew there was no point in resisting. I've worn them every night since getting them in the mail so I think they were worth it! 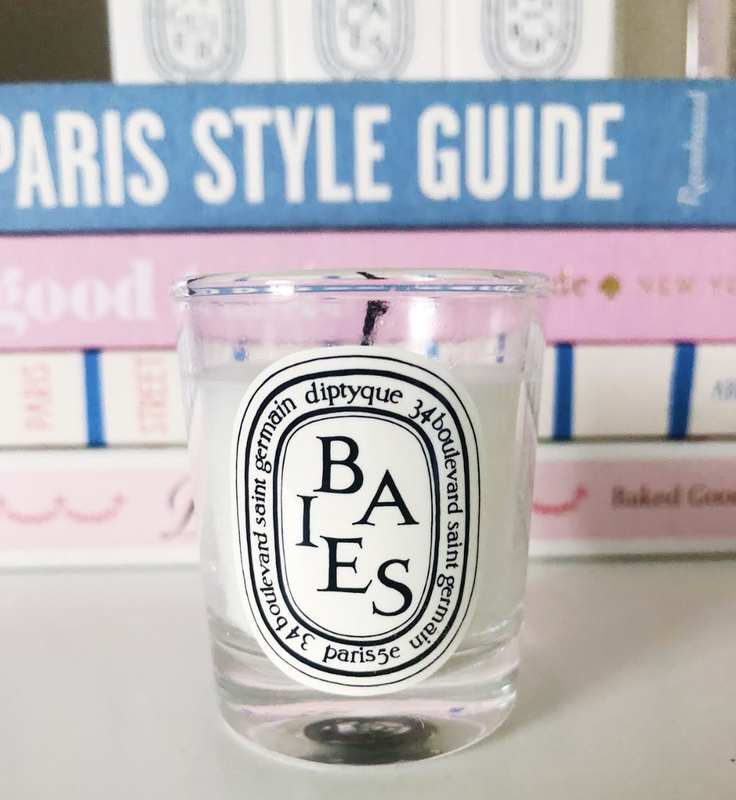 Thoughts: I've wanted to try this candle set included in the sale for years and finally decided that this was the year. I could sit and smell these all day. They are votive size and are beautifully packaged that you could easily separate them to give as gifts! Thoughts: Last but not least, one of my beauty item staples: the beauty blender. Beauty sets tend to be a great deal during the sale so I was especially excited to be able to get two of these on sale! While it isn't the most exciting purchase, it is definitely practical to have gotten it now! Stay tuned for a youtube video featuring all these finds soon!